Over the summer, multiple competitive gaming events have occurred. Today, Riley, Jackson, and I will report on these. While we will be mostly focusing on Overwatch and Counter-Strike: Global Offensive events, DOTA 2, Street Fighter V, League of Legends, and Player Unknown’s Battlegrounds will also be mentioned. This is only Part 1, featuring Overwatch, CS:GO, and PUBG. Over the summer, almost every tier one and a large amount of tier two CS:GO teams made roster changes. In this segment, I will be showcasing the most interesting roster moves of the 2017 rostermania. Fnatic: Fnatic decided it was time for a change, so the dropped 2 of their players, Olof “Olofmeister” Kajbjer and Dennis “dennis” Edman and brought in Jonas “Lekr0” Olofsson from Godsent and Maikil “Golden” Selim from Fnatic Academy. Fnatic could have dropped Dennis and not Olof and could have been fine but overall the roster moves for Fnatic were a good thing. Cloud9: Cloud9 is considered the best NA (North American) team in the world but that didn’t stop them from making roster changes. Cloud9 dropped 2 of their most beloved players, Michael “shroud” Grzesiek and Jordan “n0thing” Gilbert. Cloud9 added Tarik “tarik” Celik and Will “RUSH” Wierzba from Optic Gaming. These roster changes are a good thing for Cloud9 as it will make their team more versatile and give the team a faster playing style. Natus Vincere: Before their roster changes, Na’Vi was an abysmal of a team. One of there best players, Denis “seized” Kostin, was IGLing (In game leading) for the team, so his skill was being wasted and their star player, Oleksandr “s1mple” Kostyliev, was a fantastic AWPer and wasn’t being utilized. It was definitely time for change in Na’Vi. Na’Vi decided to drop their AWPer, Ladislav ” GuardiaN” Kovács, and bring in their former player, Danylo “Zeus” Teslenko, from Gambit Gaming. Sorting out the AWPer drama and bringing in a proper IGL was the best move Na’Vi could have made. FaZe Clan: After a terrible performance at the PGL Krakow Major, FaZe decided to make their super team of multinational superstars even more super. FaZe benched their main AWPer, Aleksi “allu” Jalli, and signed the former Natus Vincere AWPer, Ladislav ‘GuardiaN’ Kovács. After a bad showing at the PGL Kraków Major, Fabien “kioShiMa” Fiey, FaZe’s support player, was benched and FaZe signed the Swedish superstar, Olof “Olofmeister” Kajbjer, from Fnatic. This roster move stemmed unnecessary but after winning ESL One New York without losing a map, this FaZe Clan roster seems to be shaping into the best team in the world and seems to be a great roster choice. Optic Gaming: This roster move has sparked a bit of controversy. Before their roster changes, Optic was a majority NA organization besides their AWPer, Oscar “mixwell” Cañellas, who is spanish. After Optic sold Tarik “tarik” Celik and Will “RUSH” Wierzba to Cloud9, Optic sold all of their other players besides mixwell and purchased 4 European players which turned the organisation from NA to EU. Optic bought: Adam “friberg” Friberg from Ninjas in Pyjamas, Emil “Magisk” Reif from North, Kevin “HS” Tarn from Penta, and Aleksi “allu” Jalli from FaZe Clan. This changes are for the better and this team has a huge amount of potential and talen. North: Before and during the PGL Kraków Major, North’s form seemed to keep going down and down, so North decided it was time for a change. North benched Emil “Magisk” Reif, and brought in Valdemar “valde” Bjørn Vangså from Heroic. North is still the second best Danish team in the world, behind Astralis, but North are getting closer and closer to that number one Danish team title. Mousesports: In my opinion, Mouz made the most clever roster moves of Rostermania. Mouz benched two of their players, Christian “loWel” Antoran, and Denis “denis” Howell and brought in two players, both from rivals of Mouz. Mouz bought Miikka “suNny” Kemppi from Penta and Martin “STYKO” Styk from Hellraisers. As I said previously, Mouz made some very clever roster moves here and these roster moves vastly improved Mouz for the better. Godsent: Godsent was in desperate need of roster changes. They couldn’t stay in the top 30 teams consistently and the team was playing very sloppy Counter-Strike. Godsent decided they need a roster change. Godsent benched their IGL Markus “pronax” Wallsten and traded Jonas “Lekr0” Olofsson to Fnatic for Dennis “dennis” Edman. Godsent also brought in Fredrik “freddieb” Buö from Epsilon. Godsent was in desperate need of roster changes and these roster changes should revitalize Godsent and hopefully we can see them win again. The second Overwatch World Cup kicked off this summer, with group stages in Shanghai, Sydney, Katowice, and Santa Monica. China and the UK both had a flawless runs, while South Korea toyed with their food with Hwang “Fl0w3r” Yeon-Oh pulling out Junkrat, Hanzo, and Symmetra. The US was able to defeat Brazil, Germany, and the overrated Taiwan to advance, and while Japan, known for its terrible teams, shocked everyone with Akihiro “AKTM” Kushida dominating with his McCree, their run ultimately went down to the hands of Australia. Fan favorites France, who sent the whole Rogue roster; Canada, who defeated last year’s runner-up Russia; and Sweden, who were able to pull themselves out of a slump thanks to Kevyn “TviQ” Lindstrom and Sebastian “chipshajen” Widlund keeping their team together also moved on. Unfortunately, in the quarterfinals, the US is up against South Korea, so things aren’t looking as bright. The quarterfinals starts at BlizzCon November 3rd. The main tournament for the NA and EU regions, the first real season took off in August. This section reviews the North American tournament. 5 teams came from the inaugural season, and EnVyUs and Rogue were invited due to being in a much more competitive tournament (APEX S3) and EnVision eSports bought Team Liquid’s spot due to Liquid’s disband. Within a few weeks, the results already seemed clear. EnVy crushed everyone else, only dropping one map to FaZe Clan and drawing a map to Rogue. FaZe came next, bringing in Korean DPS Lee “Carpe” Jae-Hyeok to pair with George “ShaDowBurn” Gushcha, who is thought as the best Genji worldwide. EnVision surprised everyone, with Jason “Jaru” White bringing his team to upset Rogue, Kungarna, Immortals, and FNRGFE. In fourth place was FNRGFE, a team formed from the remains of Fnatic, NRG, and Gale-Force’s Overwatch squads. Rogue, especially Pulse-Bomb specialist Terrance “SoOn” Tarlier, slumped, barely staying alive thanks to Benjamin “uNKOE” Chevasson. Immortals, the inaugural season winners, slumped even more, followed by Kungarna and Renegades, who were falling apart. Starting on Friday the 6th, the semifinals start, with EnVy playing FNRGFE and EnVision playing FaZe. On the European side of the tournament, five teams came from the inaugural season, with Cloud9 buying the Laser Kittenz org, Gigantti buying Rest in Pyjamas, and GamersOrigin taking Movistar Riders’s spot. Team Singularity disbanded, creating a super mix of (mainly) ex-Hammers Esports players. Swedish team Misfits, now with ex-Movistar Riders Johan “CWoosH” Klingested and Andreas “Logix” Berghmans, swept the Round Robin, only dropping 2 maps. Team Gigantti took second, followed by 123 and Cloud9 EU (Laser Kittenz.) GamersOrigin took fifth, barely missing their playoff spot. Singularity was next, then inaugural winners eUnited. Bazooka Puppiez came last, but had some hilarious comps involving Bastion and Orisa. The playoffs also start on the 6th. Cloud9 storms across the regions– NA org Cloud9 recently bought the famous Korean team KongDoo Panthera, who rebranded to Cloud9 KongDoo. Strangely, Panthera’s sister squad, KongDoo Uncia, remains the same. In addition, C9 acquired the European team Lazer Kittenz, rebranding to Cloud9 EU. LEETAEJUN comes back from his break– After retiring due to a scandal with female fans, Lunatic-Hai founding member Lee “LEETAEJUN” Tae-Jun came back to the team for APEX Season 4 after climbing the competitive ladder. Lunatic-Hai brings in a second– Lunatic Hai recently formed a sister team as well, featuring ex-BK Stars Bunny, DoHyeon and Alarm, ex-Conbox Spirit player MedalOfHonor (previously MyungHoon) ex-ROX Orca Guardian, and ex-MVP Flash. The team, still yet to be officially named, is currently topping the group in APEX Challengers, a tourney made to seed new teams in APEX. NRG energizes for OWL– After major investments from NFL player Marshawn Lynch and J. Lo, retired eSports org NRG E-Sports brought in a new roster for their Overwatch League spot. This include former Selfless players Jay “sinatraa” Won and Daniel “dhaK” Martiñez Paz, former Kungarna player Andrej “babybay” Francisty, as well as popular streamers Dante “Danteh” Cruz and Andre “iddqd” Dahlstrom. The Ninjas become Giants– Famous Finnish org Ninjas in Pyjamas, also known as Rest in Pyjamas, was going to drop their Overwatch squad when the players were bought by appliance company Gigantti, rebranding as Team Gigantti. The team picked up new players Benjamin “BigG00se” Isohan and Jonas “Shaz” Suovaara, and are currently playing in Contenders Season 1 EU. Ardeont fires up the Pacific– Former KR Tier 3 team Mighty AOD disbanded, but from their remains came Ardeont, a Korean org in the APAC scene. The main Pacific tourney, OPC, was formerly dominated by Taiwanese team Flash Wolves, but when Ardeont came in, even the wolves got destroyed. After a 42-2 record, Ardeont is heading into the playoffs marked as clear favorites, and are most likely going to take it all. This shows how deadly the Korean region really is. LuxuryWatch make a controversial move– Famous KR org LuxuryWatch shocked all when LW Blue’s main support, Jang “Luna” Gyeong-ho announced that, mere hours before the APEX S4 roster deadline, he had been dropped by the team. This raised many eyebrows as Luna was not only considered one of the best supports in the game, but also the team captain after Heo “Gambler” Jin-woo quit the game due to a medical history. What’s more, their sister squad, LW Red, dropped one of their best players, Park “Who” Jae Hyeong at the same time. To fill the missing gap, LW Blue brought in streamer Bang “JJoNak” Sung-Hyeon, known for his somewhat toxic personality. This, combined with Blue’s decision to forfeit APEX 4, had multiple fans scratching heads, but most likely points to an Overwatch League spot. The King Runs Away from NA– RunAway, the Cinderella team that took second in APEX S2, had fans crying their hearts out when main tank Ryu “Kaiser” Sang-hoon left for Cloud9 in order to support himself and his mother. Lucio player and team manager Yoon “Runner” Dae-hoon, who payed for the team out of his own pocket, was struck with a choice. After a terrible 9-12th run in APEX S3, should he keep on trying or disband and get a regular job to support his wife and baby daughter?. Eventually, he decided to go for another season, and the team came back to glory when off-tank Park “Bumper” Sang-beom leaked that “the king” was coming back. Fans cried tears of joy when it was confirmed that Kaiser would return to his team again. After many exciting matches, including a reverse-sweep to X6 Gaming, RunAway is currently playing in APEX S4’s semifinals, going up against New Core Foxes on October 13th. The tournament was officially streamed on Twitch, but individual players streamed on their platform of choice. 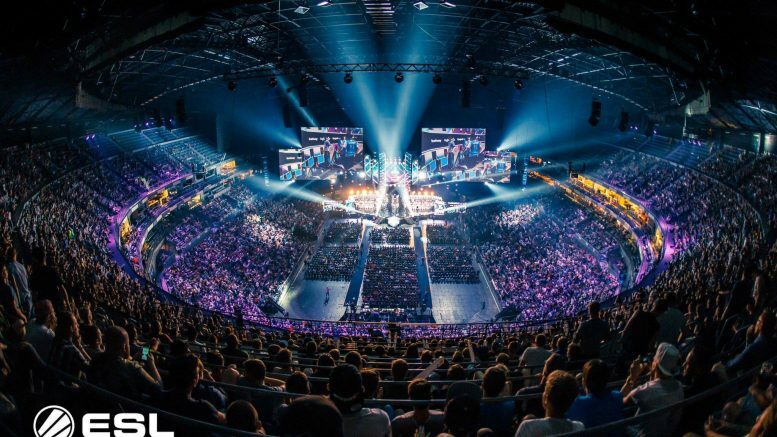 A lot of viewers and news organizations touched on how this tournament was a “fail.” PUBG is still an early access game and Gamescom was their first ever tournament, so problems were expected, but the tournament flopped and fell a bit short for many. First of all, when commentating the game, it wasn’t always the easiest to sync the announcer’s commentary with the spectator cam. Often times viewers would hear about this epic fight but were stuck watching someone camp a cliff. This relates to the next negative point for the tournament, camping. PUBG in nature is a very camp-heavy game. Winning often means getting the last few kills just to secure the victory or staying away from gunfights just to survive. Especially in third person where players can prone behind a cliff or hard-cover and see over a wall to spot other in the open. It makes very unfair, oftentimes boring games. This was really brought to players attention when ex-Overwatch player EVERMORE (known as the first player to hit 5,000 SR) won $15,000 one day just for camping a cliff outside of the play area. This was because winning awarded much more points than kills, and incentivized straying away from combat at all costs. Eighth grader, reviewer, artist, video gamer, musician, Tracer main, Pokémon Master, and writer who is interested in articles about technology and art. Hello, world.